October 16th in Theme Lists, WordPress Themes by Wordpress Jedi . 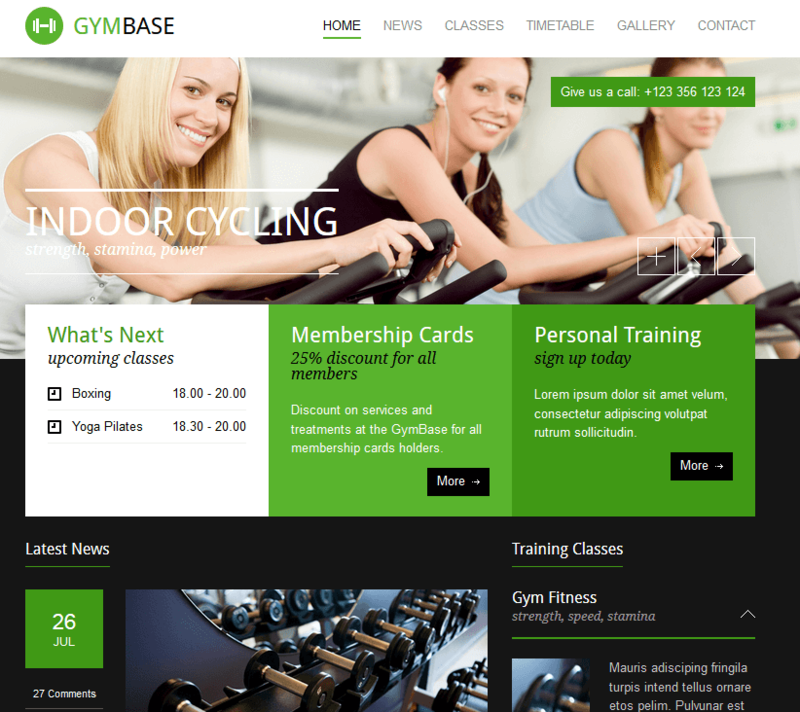 GymBase: designed for fitness businesses, this theme offers a responsive design, 9 widgets, 4 custom post types, and plenty of fonts. FIT: a responsive gym theme with custom post types to handle trainers, classes, and … It has custom widgets and can be easily customized. GymBoom: this template has 11 custom widgets, a built-in event calendar, and 4 custom post types. It is responsive too. Fitness: a premium template with 3 homepage styles, plenty of page templates, and custom post types for trainers and courses. 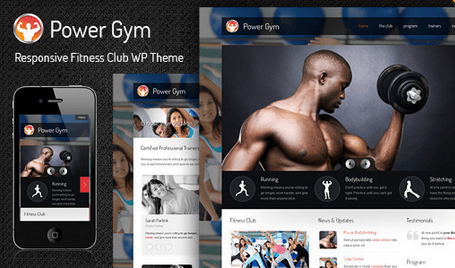 Power Gym: a responsive fitness club WordPress theme with a flexible slider on the home page, custom widgets and shortcodes. It is ready to be translated. 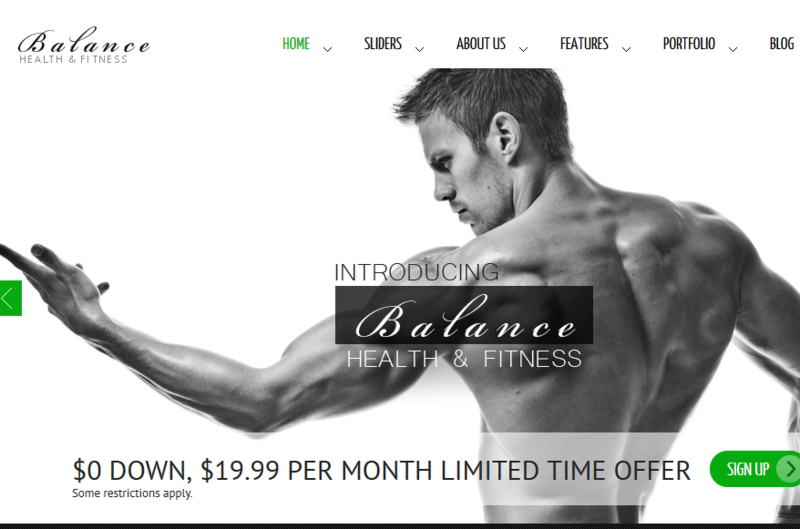 Balance: a HTML5 theme with 4 homepage variations and 6 sliders. You get 500+ Google fonts, unlimited sidebars, and various page templates, widgets, and layouts. 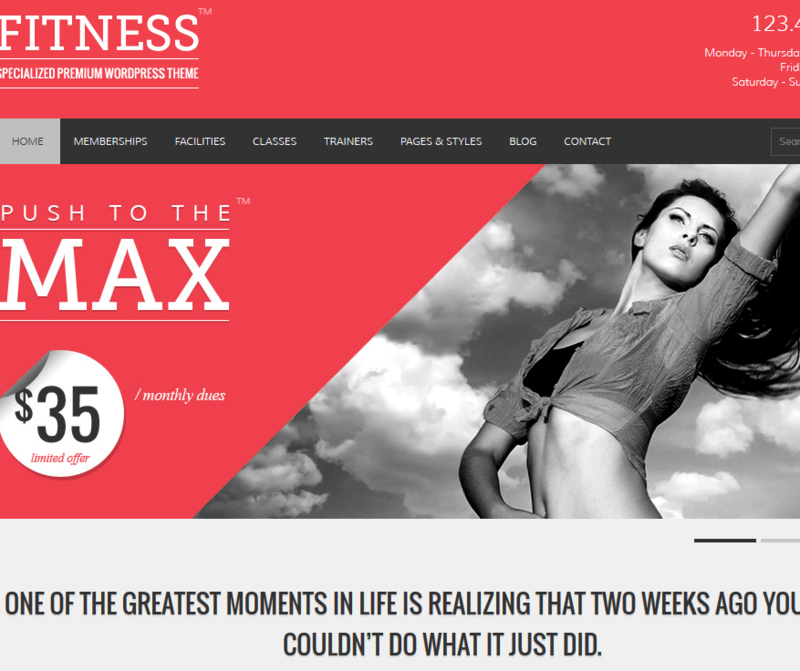 Fitness WordPress Theme: has an adaptive design with an easy to use admin panel. It is ready to be translated and branded. 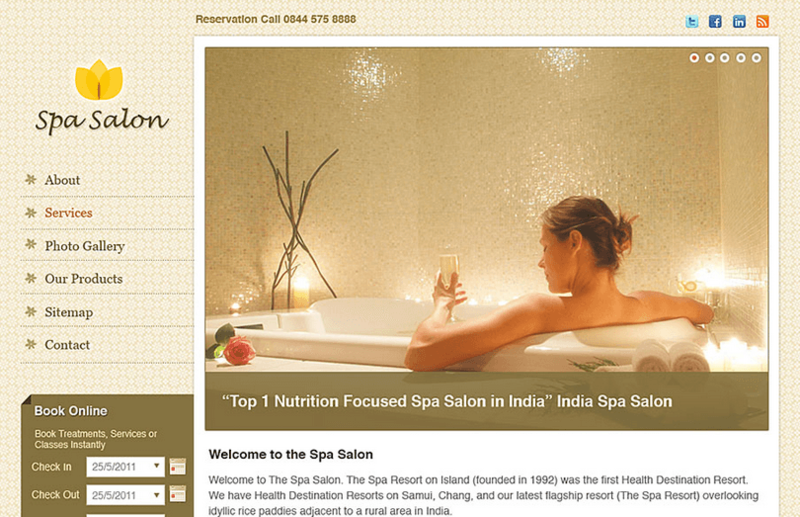 Spa Salon: not only lets you promote your business online but also manage appointments. It is integrated with PayPal and ready to go. Wellness: designed for health and wellness communities (clinics, spas, and studios). The design is mobile friendly. 4 skins are included. 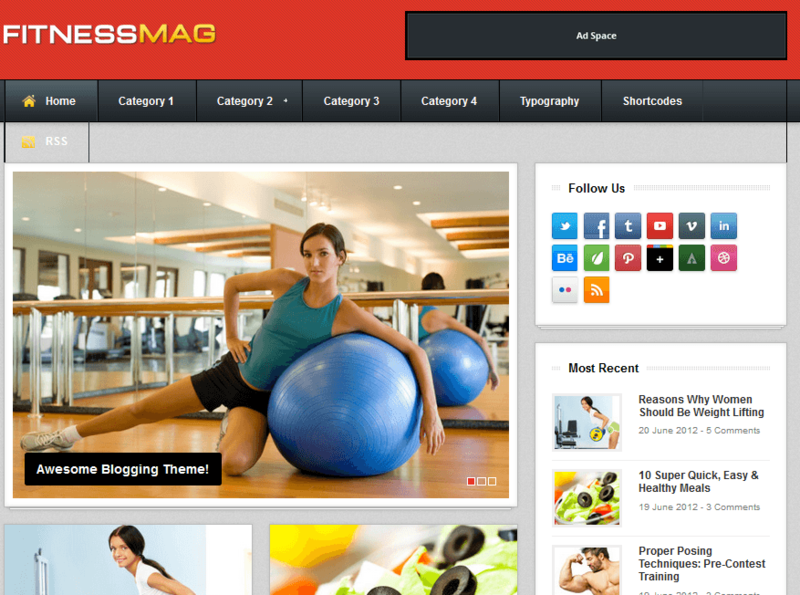 FitnessMag: a premium theme for blogs and magazines. It has a homepage image slider, 3 menu locations, and useful widgets. 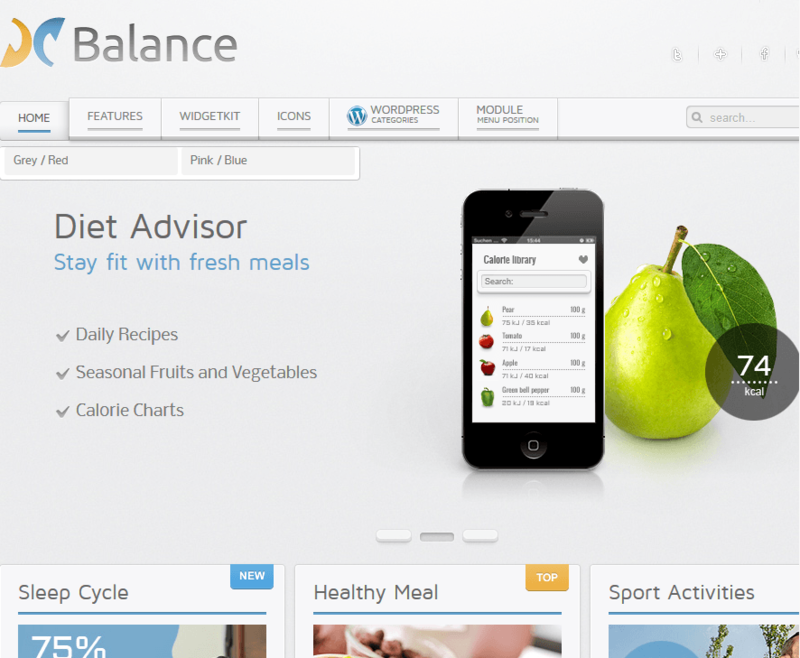 Balance: a powerful theme for diet websites. It could also work if you have diet and fitness gizmos that you would like to market online. 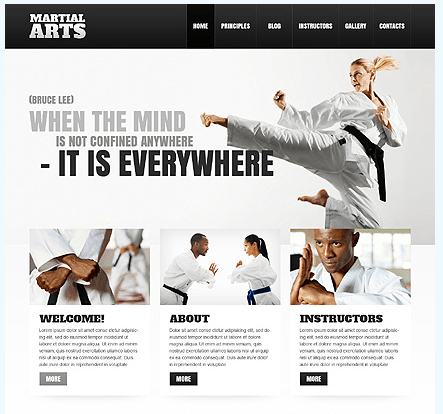 Martial Arts: want to start your own mixed martial arts training business? Maybe you already have an established business and want to bring it online. Whatever the case, this theme can help. Massage: designed for massage businesses but could very well work for fitness centers. The design is clean and professional. Fitness Theme by Mercury: designed for fitness businesses, this theme provides you with the opportunity to promote your services in a professional fashion. Salon: works for hair salons, spa websites, fitness centers, and other businesses in this field. It has a clean and easy-to-customize design. 3 portfolio templates are included too. 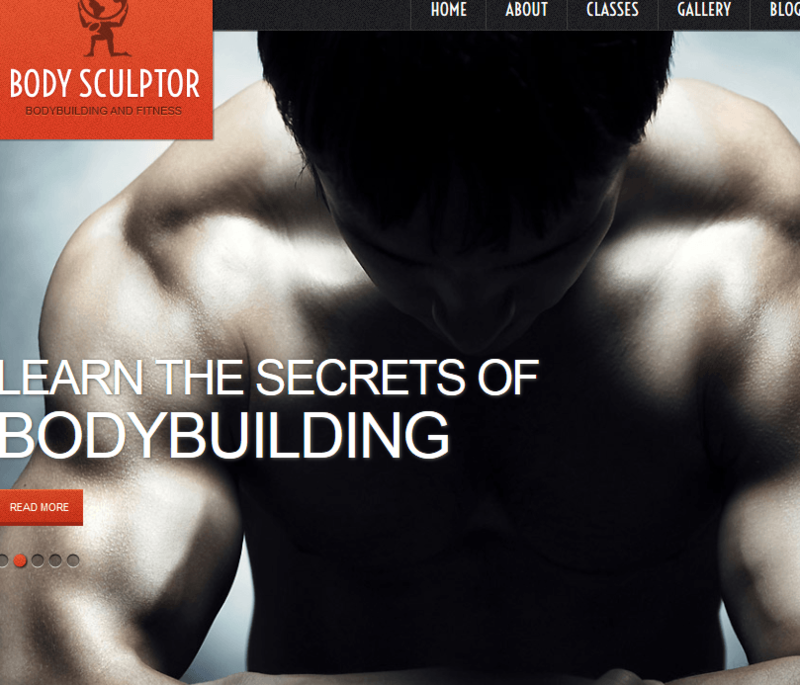 Bodybuilding theme: designed for those of you who would like to promote your bodybuilding business or gym online. 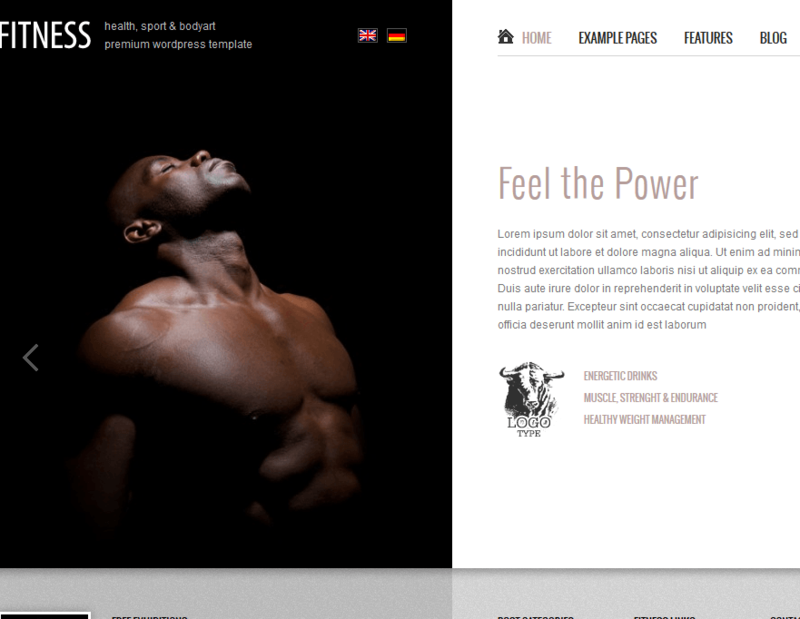 W&B Fitness theme: yet another theme for bodybuilding and other fitness related businesses. It has blog and gallery features with multiple content areas. 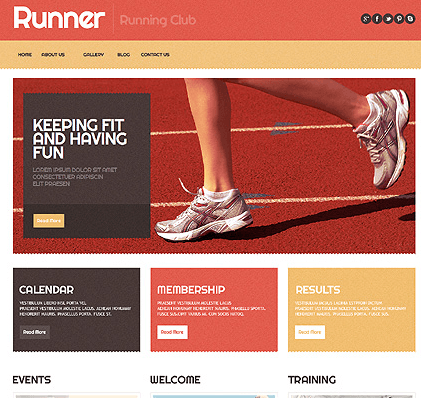 Running Sport: as the name suggests, this theme is great for gyms that focus on cardio workouts, among other things. You could use it for tennis and other sports-related portals too. 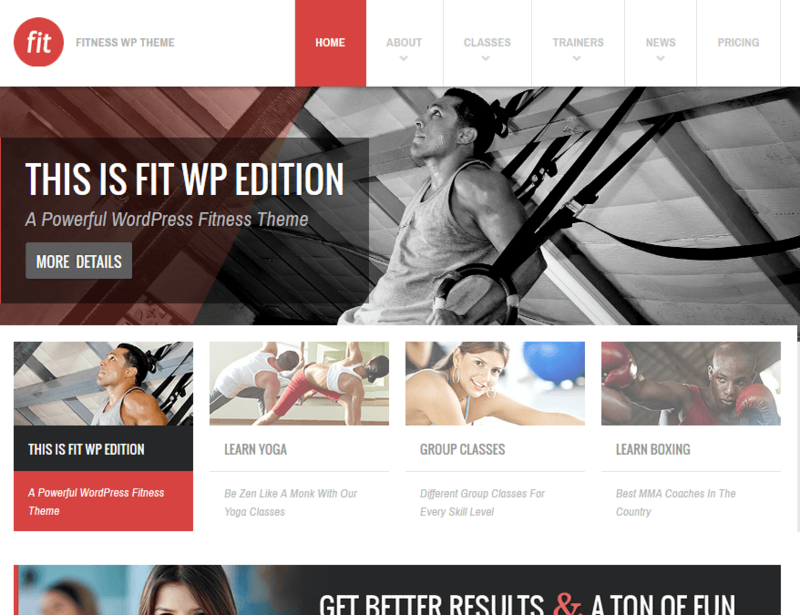 FitPro: a decent theme for fitness professionals, personal trainers, and boot camps. It is mobile and tablet friendly. You can use it to create paid membership plans. 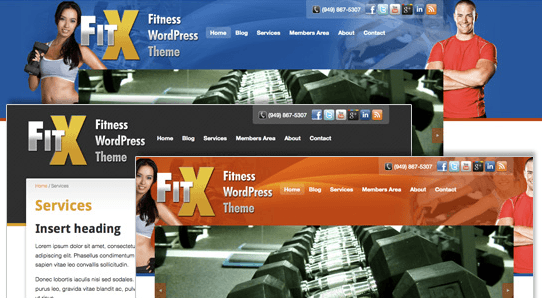 FitX: an attractive theme for fitness marketers and professionals. You can sell you products and do other neat things with this theme. It is optimized for lead generation. 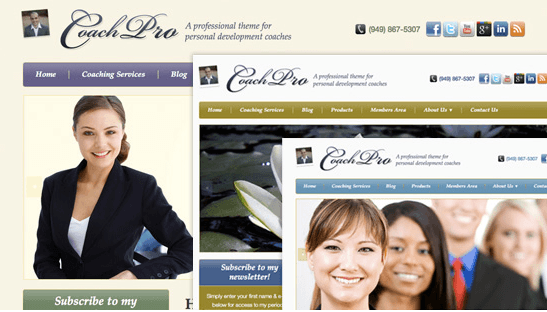 CoachPro: a theme for coaching. You could use it for sport psychology and other similar businesses. It has 6 custom widgets, opt-in form feature, and 10+ content templates. 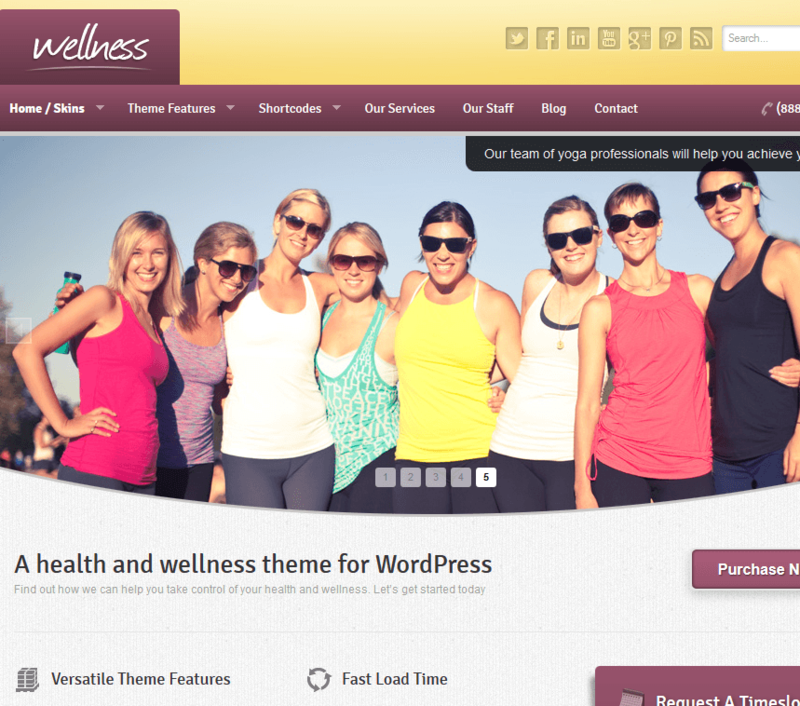 Have you found better fitness themes for WordPress? Please share them here.